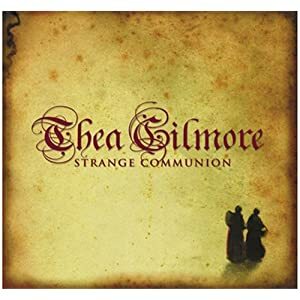 I don’t think I’ll be able to get out to hear her performing live tomorrow evening in Winchester at The Tower, but I wanted to mention how much I have enjoyed Thea Gilmore‘s music this year and tell you about her wonderful winter album “Strange Communion”. If you didn’t listen to it when I recommended it this time last year, it’s worth your time to go listen on Spotify, Amazon UK or Amazon US. Try Sol Invictus, Midwinter Toast, the beautiful December In New York and (for some darker humour) The St Stephen’s Day Murders (which includes some British references American friends might need help with, such as the reference to Irn-Bru). If your taste in “holiday music” is dominated by Bing, Frank and carols, you might not like it, but I have a hunch a whole lot of people who are reading this will find it’s the first seasonal album they have wanted to buy for themselves.